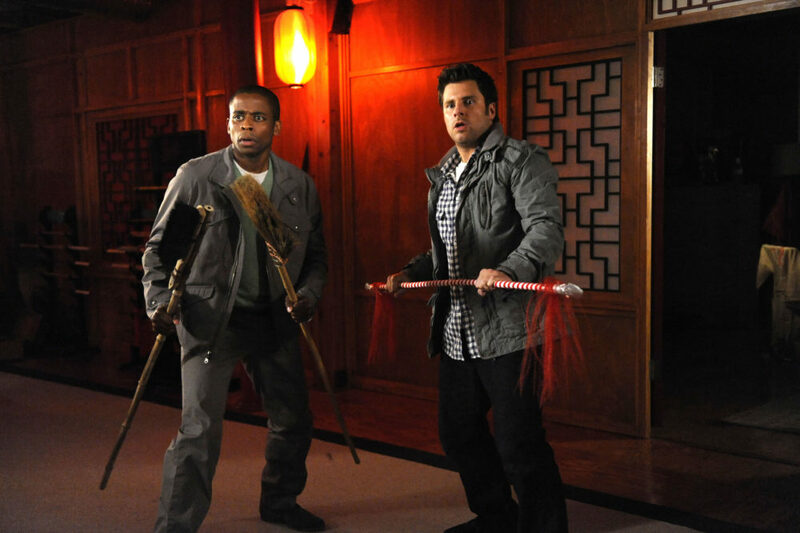 11 of the best Shawn and Gus moments to get us psyched for more "Psych"
It’s been three years since Shawn Spencer (James Roday) and Burton “Gus” Guster (Dulé Hill) said goodbye to Santa Barbara and Psych for San Francisco. But, when we reunite with the fake psychic and pharmaceutical sales rep in Psych: The Movie it’ll be like no time has passed. While Psych (both the TV show and their fake detective agency) may be long gone, Shawn and Gus are very much still in the psychic detective game with their new office, Psychphrancisco. When Juliet’s new partner is murdered by the Thin White Duke (Zachary Levi) the duo — alongside Juliet, Chief Vick, Henry, and Woody, of course — must do everything they can to catch him before one of them is the next target. Psych: The Movie is guaranteed to be everything we know and love about the hit series which means it’ll be filled with catch phrases, nicknames, and a whole lot of Shawn and Gus banter. To get us in the Psych spirit, we’ve rounded up just some of our favorite Shawn and Gus moments. Psych: The Movie airs on USA on December 7th.